I know that there’s beeen commentary by…The Saker, for one, said that this is a de facto no-fly zone over Syria. Now we know that things have not been going so well up to now for US imperial aims in the country. I’m wondering what, how significant this latest event is in the overall context of what we’ve been seeing? But the response was basically a dressing-down from Russia to Israelis, saying you cannot do this anymore, and the response was to arm the Syrians with a more up-to-date air defense system which was probably already in place. It was just handed over to Syrian command. I don’t think that this is a major development. I think Russia and Israel are going to patch things up. I don’t think Israel is going to stop attacking things on the ground in Syria [in response to] actions that they see as provocative. They are very fearful of precision rockets, precision weapons, being built in Syria or smuggled into Syria, which can be smuggled into Israel or fired into Israel from Lebanon or from Syria itself. GR: Yeah, I mean I think that there’s been a long-standing observation that the US drive to upset or instigate regime change within Damascus, it ain’t working. Even the balkanization project, the idea that balkanizing it in ways that favor the US, NATO, and their imperial lackeys if you want to put it that way, it seems to be in some turmoil. What options would you say the US has at this point? Short of a declaration of surrender? DO: Well, there will be no declaration of surrender. Let’s not kid ourselves. Basically, what the US does in Syria [is] similar to what it does everywhere else: it generates activity. It generates activity in order to be in a position to order more weapons systems, more munitions, to basically chew through war materiel, because that’s what the contractors require, and those contractors, military contractors, finance various congressional campaigns. That’s the entire political ecosystem, and what happens on the ground is sort of a sideshow. GR: Well, it’s an interesting point. I mean, we’re not just talking about imperial control of resources and strategic areas but also that idea of just using military activity as a way of generating money for the major military contractors, defense contractors, and affiliated interests. Which kind of brings me to another dynamic in play, the US military. It’s huge, at least in terms of the amount of money it spends, more than about 10 time – more than the next 10 countries combined. Russia doesn’t spend nearly as much, but yet they’re much more strategic and efficient in the way they utilize and spend money on their military. DO: In terms of purchasing parity it’s one Russian dollar to 10 U.S. dollars in defense spending. That’s really the ratio. The US has to spend ten times more than Russia to get the same or inferior results. There are a lot of reasons behind this. GR: So in terms of that parity, would you say that Russia is a effectively now a rival of the US militarily? Can they counterbalance the US in every Realm? DO: Oh, no, absolutely not. Basically, the Russian posture is to make sure that the US and NATO have absolutely no plan whatsoever to attack Russia, or to attack Russia’s allies. Perish the thought. But other than that, Russia’s posture is completely defensive, and American posture, because there is no need to defend the American homeland from anyone, nobody is planning to attack the United States, is purely offensive. Now, it takes ten times more resources to attack than to defend. That is generally understood as a principle. And so, the US is trying to pursue a policy that really leads it to not any kind of victory or even a stand off, it leads them to national bankruptcy, nothing more. GR: Well, what about the economic dynamics that have been playing out lately? The sanctions that are being leveled against Russia and Iran? And I’m wondering how that’s playing out within the EU, because the US is allied with the European Union, but European Union interests are being affected by sanctions, and so I’m wondering, are we seeing a potential breakup of that alliance? While there are efforts, there have historically been efforts to break up an alliance between Russia and China, I’m wondering if, which of those alliances is more fragile, if I could put it that way. DO: It’s really hard to figure out what is going to snap first. There’s definitely a huge amount of tension between Washington and the European Union. There is a huge amount of tension building up within the European Union itself, because the whole liberal juggernaut that started bringing in unlimited quantities of migrants into Europe. That is definitely running into a huge, huge problem, huge conflict that is internal to the EU. Now, the relationship between the EU and Russia has not really been all that badly damaged by Washington and by these sanctions that the Europeans have gone along with willy-nilly, many of them complaining all along the way. And, definitely, in terms of, for instance, energy cooperation between the EU and Russia, it’s back on track, because there are really no other options that the EU has to supply itself with natural gas other than to do business with Russia, and at this point that means also to circumvent the Ukraine because nobody really wants to do business with the Ukraine anymore. It’s basically a sort of poisoned chalice at this point. In terms of what the sanctions have done to the Russian economy, yes, they cost them a couple of percentage points of GDP growth, but the beneficial effect of those sanctions is often underestimated. It really woke Russia up to the fact that it has to become self-sufficient in many areas, and it has become self-sufficient in numerous areas and is working very hard to achieve self-sufficiency in more areas and to find new trading partners that aren’t going to sanction them. So, the sanctions have really woken up the Russians to the fact that the Americans are not their friends, will never be their friends, and have prompted them to act accordingly. So when it comes to that economic dimension, and other countries are no doubt aware of the unsustainability of the US economic situation, so how do you see things playing out? 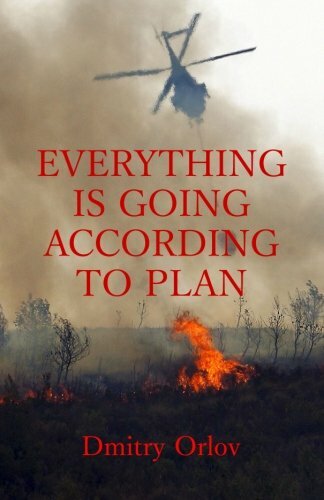 Are things going to come apart in a disastrous way? Or are there going to be sort of sneaky…people moving away to that secondary pole, the Russia-China-Iranian axis, if you will. Economically, how are people, how are the competitor nations going to respond to what appears to be the inevitable demise of the…and collapse of the US economy? DO: Well, I think the writing has been on the wall for a really long time now. It’s just a question of when, and nobody knows the answer. And the big task in front of many countries in the world right now, and it’s a huge task, is de-dollarization. You have something like a hundred and eighty different currencies that all use the US dollar to trade with each other, that all have price lists in dollars, that convert to dollars in order to trade with each other and then convert back and use the fact that there’s this gigantic pool of dollar liquidity that they can tap into anytime they need to. But the downside of that is that anytime anyone trades using the US dollar, they become part of the US jurisdiction and become subject to American sanctions. And it used to be that the US was sort of a good citizen – good global citizen – allowing itself to benefit from the fact that everybody uses the US dollar. Now, there’s huge benefit to the US. But in return it pretty much allowed people to use the dollar as they wished. But now, with Trump specifically, with his trade policies, the US requires other countries to use the dollar in America’s economic interests and to their own detriment. And that’s when everybody wakes up and notices. But then the task is to de-dollarize, and it’s a huge task, because China is not really ready to replace the dollar with its own yuan. Nobody really expects China to step in and play such a huge role so quickly. China generally takes a long time to make such adjustments and takes many small steps. And nobody else really wants to do it either. So, we’re in a period where there will be lots of half measures, there will be a lot of forced measures taken if the situation deteriorates suddenly. 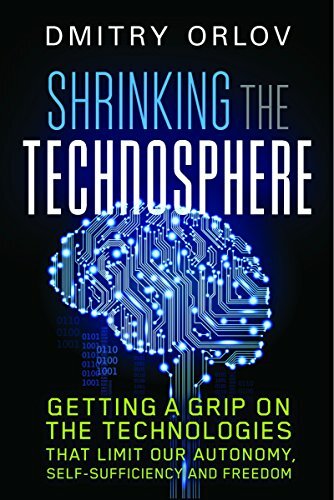 But I think that there’s a really good chance that there will be a lot of damage to international trade and to international supply chains if this dollar liquidity evaporates, because the only two ways, and it’s actually one and the same way, out of this crisis that the US has put itself into with its completely unsustainable rate of growth of its indebtedness, is either a deflationary collapse or an inflationary collapse or some combination of both. So that you have falling prices on some things and hyperinflation in other areas. There’ll be huge economic distortions, and the rest of the world will simply have to co-exist. They have a hoard of dollars, they use that hoard of dollars in order to trade with each other, they have contracts signed that are all in dollars. So, how do you de-dollarize that? It’s a gigantic task. GR: Yeah, I’m kind of interested in your take on the way…the media messaging around these realities, because they seem to be extremely diversionary. I mean there’s the long-standing… Well the…Russiagate, the attacks on Trump that we’ve been seeing in an ongoing way, I mean there’s certainly a lot of ridiculousness around that and particularly the… what we’ve seen recently about this Skripal affair. And this… What they’re trying to explain, that there’s these two ex.. this spy was somehow assassinated by these two Russian agents, and that story seems to have been falling apart the more you look into it. Although they seem to be, like Theresa May and her allies, seem to be doubling down on this failing narrative. What is your take about the way the media continues to propel this mythology about Russia and its onerousness … its toxicity on the world stage? Is this a manifestation… Are you seeing a manifestation of your long-standing thesis about collapse, collapse of Empire? DO: Well, I think that basically the West, the collective West, has run up against Russia as a sort of immovable object that is completely indigestible, unprocessable for it. And coinciding with that is just a catastrophic decrease in the quality of Western leadership. Whether you look at Trump, whether you look at Theresa May, or Emmanuel Macron, or just about all of this recent crop of European leaders, with few exceptions, they’re all just absolutely incapable of being even coherent, never mind formulating some strategy or plans. They’re failing, and everybody sees that they’re failing, and they can’t stop themselves. They just go on with whatever narrative they’ve concocted. 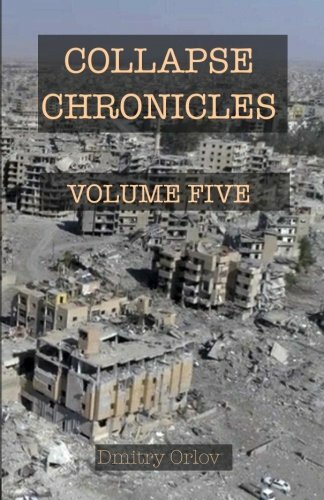 Collapse Chronicles, V... Dmitry Orlov Buy New $18.39 (as of 05:00 EDT - Details) With the Skripal affair, it’s preposterous throughout. There’s absolutely no evidence behind the British story, and there are a lot of facts that are just completely contradictory and negate the narrative that has been voiced. And so the Russians are happy to basically sit back and ignore all of that. They know that there will be sanctions, these sanctions have nothing to do with chemical weapons, they have nothing to do with anything except one fact: Russia is sitting on a stockpile of energy resources that will last it for hundreds of years. And it has enough to export for as long as it sees fit. But really, it wants to become independent of energy exports, and that is a big problem for the West because the West has absolutely no strategy to become independent of Russian energy imports. There’s nothing they can do about it except basically do whatever Russia is willing to do for them, to basically agree to cooperate with Russia. They’re basically jumping up and down mad that they have this problem that they can’t solve. They can’t attack Russia militarily. They’re trying to attack Russia economically, but that’s not working. They’re trying to isolate Russia, and as a result of that Russia is strengthening ties with countries all over the world. The SCO organization is now almost half of the world’s GDP, almost half of the world’s population. And it’s a security organization that Russia is part of. They try to stage little provocations like the little training exercises along the Russian border in the Baltics that are supposed to frighten Russia. Now if NATO attacked Russia, Russia would have them arrested. It doesn’t really make sense as a plan, but it makes sense as an internal narrative, something that these incompetent Western leaders can tell their own people. GR: Dimitry, I think we got to leave it there, but I really want to thank you. I really value your unique out-of-the-box thinking and the insights that you share with us and our listeners. Thanks so much for joining us. GR: We’ve been speaking with Dmitry Orlov, Russian-American engineer, writer, and blogger. You can see more of his articles at the site cluborlov.com. Reprinted with permission from Dmitry Orlov. 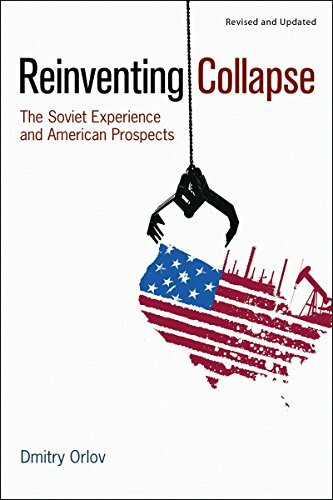 Dmitry Orlov is a Russian-American engineer and a writer on subjects related to "potential economic, ecological and political decline and collapse in the United States," something he has called “permanent crisis”. Orlov believes collapse will be the result of huge military budgets, government deficits, an unresponsive political system and declining oil production.